AASL Board meetings during ALA Midwinter provided the opportunity to reflect on our progress in the administrative year while setting our path for a productive finish to what has already been an exciting and productive year. Your AASL leadership met on Saturday, February 10, and Sunday, February 11, at the Colorado Convention Center in Denver. 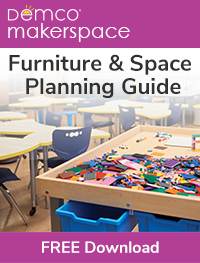 The creation of AASL’s National School Library Standards for Learners, School Librarians, and School Libraries State Workshops Plan. AASL staff has started to operationalize this plan by surveying affiliates for specific training needs and preferred formats. A State Workshops Task Force has been established to guide the work, and a member of the AASL Standards Implementation Committee will serve in an ex-officio role to facilitate communication and continued forward progress. The formalization of the Social Media Editorial Board to be structured like the Knowledge Quest Editorial Board. This Editorial Board will guide the social media presence and engagement levels for AASL, while a new Social Media Posting Group will create social media content and encourage interaction across the school library community. 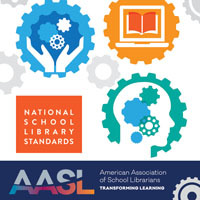 The update of presentation and speaker guidelines to reflect the publication of AASL’s National School Library Standards. The extension of the Vision for Implementing ESSA Task Force to Midwinter 2019. This group, led by chair Eileen Kern, continues to monitor the status of ESSA in the U.S. Department of Education while providing high-quality professional development to Affiliate Assembly and monitoring training and information needs on ESSA as it continues to evolve. The creation of an Open Educational Resources (OER) Task Force to position school librarians in OER efforts that will help to extend the school librarian’s role as leaders within their schools, align to our new standards, and provide professional development. 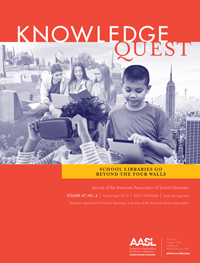 The investigation of AASL’s capacity and strategies to track and monitor the status of states that have requirements for school librarian staffing, quantify school librarian position losses that have been undercounted and underrepresented nationally, and support state legislation on school library staffing. The AASL Board appreciates the hard work that the Practice Committee, chaired by Jay Bansbach and Deb Kachel, has put into developing processes to monitor the education landscape to bring important issues to the board’s attention, and we look forward to continuing to develop this relationship. We also heard reports from the recently concluded 65th anniversary giving campaign and the Leadership Development Committee with the 2018 AASL election slate. AASL staff updated the board on professional development offerings, website and social media statistics, publications, National School Library Standards portal progress and product development, and a look back at the 2017 National Conference as we begin preparations in earnest for the 2019 National Conference. The AASL Board welcomed visitors to share with us, including ALA Executive Board liaison to AASL Karen Downing, Budget Analysis and Review Committee liaison to AASL Carl Harvey, ALA Office of Information and Technology Policy Ready to Code Fellow Mega Subramaniam, ALA Committee on Legislation member Christian Zabriskie, and candidates for ALA President Elect 2018-2019 Wanda Brown and Peter Hepburn. Progress was also made in Denver on my presidential initiative, which aims to strengthen AASL’s relationships across ALA (a current AASL strategic plan goal) through face-to-face meetings at Midwinter and Annual. I enjoyed the opportunity to share with the Chapter Leaders Forum and the ALA Executive Board while on site. I will continue to work with our colleagues across ALA to celebrate the unique skill set of today’s school librarians while developing stronger partnerships for advocacy as we move forward in these interesting times for ALA as an organization. I hope you’re making plans to be at our second #aaslcxn meeting on Thursday, May 31 at 7:00 pm Eastern / 6:00 pm Central / 5:00 pm Mountain / 4:00 pm Pacific / 3:00 pm Alaska / 2:00 pm Hawaii. Be sure to check out the archive of our March 1 webinar where we heard from ALA President Jim Neal, ALA Associate Executive Director of the Washington Office Kathi Kromer, and our fantastic AASL section representatives to the AASL Board. Thank you for all that you do for our profession and continue to let AASL know how we can best empower leaders to transform teaching and learning. 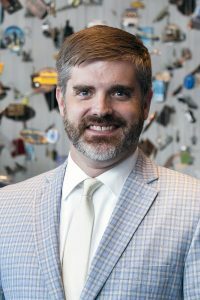 Steven Yates is an assistant professor and coordinator of the school library media certification program at the School of Library and Information Studies at the University of Alabama. 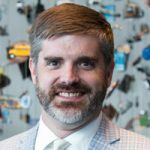 He earned a doctor of philosophy in instructional leadership with an emphasis in instructional technology in 2017.